Well, not exactly. After returning to Hanoi, I opened up a copy of the November 19-25 edition of Thanh Nien Weekly to catch up on local news. 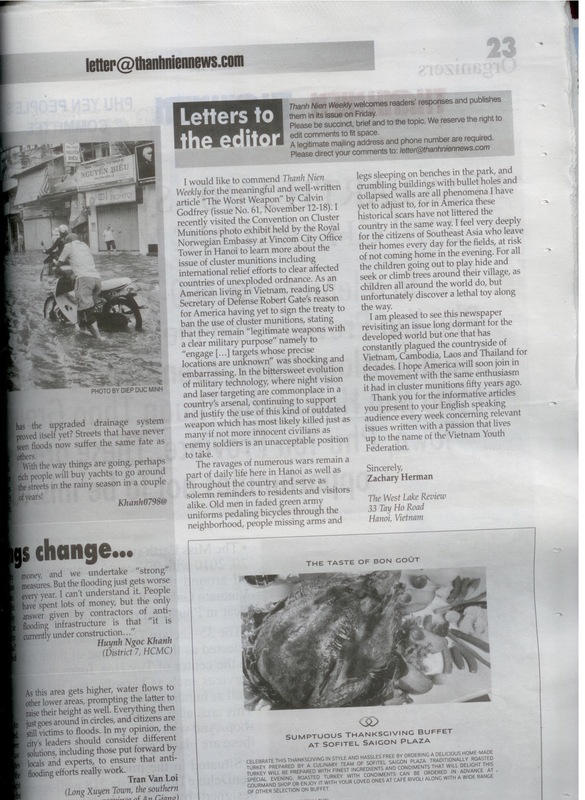 Lo and behold, my letter to the editor in response to a previous TNW article concerning cluster munitions was there! Thanh Nien Weekly is a high quality paper, both in terms of layout, article choice and voice. I highly recommend picking up a copy from the post office next time you're near Hoan Kiem lake.